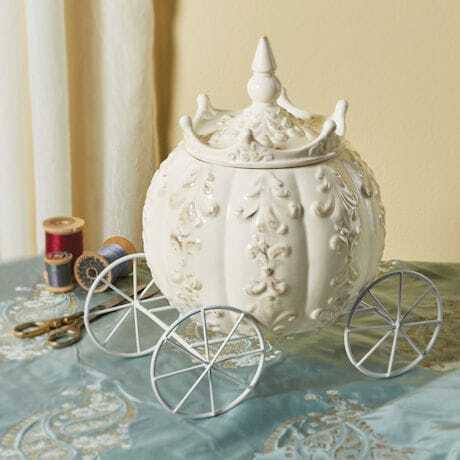 For wishing, dreaming, and storing small treasures. 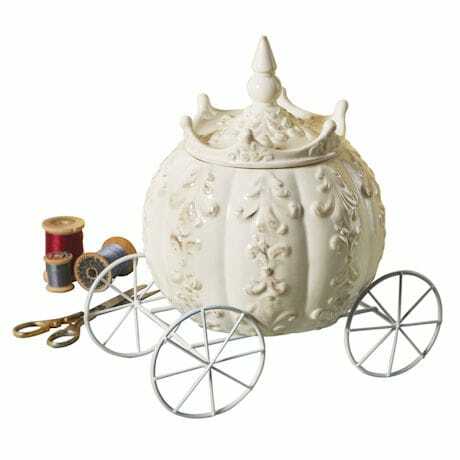 A gift for a princess, a bride, or a friend who still believes in fairy tales, stoneware jar has a distressed white glaze and metal wheels. 10" long, 10" high. Not food safe.